PANCRASE is a professional sport in which athletes compete employing; skill, physical strength, mental power, intelligence and luck. Athletes utilize striking, kicking, throwing and submission techniques from various martial arts. All combatants will observe the rules and compete with a sportsman-like attitude. The origin of PANCRASE dates back to the ancient Greek Olympic games. First introduced in 648 B.C. at the 33rd Olympiad, a form of free-style fighting called Pancration / Pancrase would soon become the most popular and demanding of all athletic events. Olympic Pancration integrated every physical and mental resource; hands and feet, mind and spirit, in the closest simulation of competitive fighting that any culture has ever allowed. It was the ultimate Olympic sport for over a thousand years. Today, martial artists from around the globe descend upon Japan to do battle in Pancrase, the most exciting and demanding sport in modern-day athletic competition. 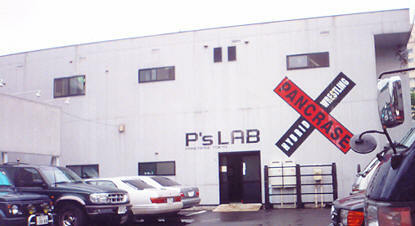 PANCRASE was founded in 1993, by Masakatsu Funaki and Minoru Suzuki. Their goal was to produce a new mixed-martial arts competition utilizing the world's best professional fighters. Many martial arts techniques are employed in PANCRASE matches including; wrestling, judo, boxing, sambo, karate, kenpo, jiu-jitsu, and Thai boxing. The most important aspect of PANCRASE fighting is the need for combatants to adapt their techniques to this unique competition. PANCRASE fighters must cross-train in many disciplines to be successful. The alternative is almost certain defeat. In the PANCRASE logo, red indicates blood and black represents the various styles of martial arts. The PANCRASE cross represents the best techniques from all martial arts. PANCRASE fighters come from around the world including: Japan, U.S.A., Canada, Holland, Sweden, Austria, U.K., France, Australia, Brazil, Russia, Armenia, Georgia, Lithuania, Korea, and India. The number of countries has been increasing every year. We have been contacted by fighters in other countries including China, Philippines, Mexico, Chili, and Germany who will soon join the ranks as prestigious PANCRASE fighters. The territory of PANCRASE events continues to expand. PANCRASE events have been aired by pay-per-view in the U.S. since 1996. PANCRASE is also in negotiation with Latin America and other Asian countries to introduce the PANCRASE events in their territories. In addition to producing professional PANCRASE competitions, the PANCRASE Organization currently has four official gyms in Japan, one in the United States and several other affiliated training centers world-wide. An average of 3,000 people buy a ticket to see the PANCRASE shows every month in Japan. Over 300,000 PANCRASE videotapes and DVDs have sold in Japan. Over a dozen Japanese newspapers have featured articles on PANCRASE. Over 61 Japanese magazines have featured articles on PANCRASE. Over 25 TV shows have featured stories on PANCRASE or had PANCRASE competitors as guests. Over 6 radio shows invited PANCRASE competitors as guests. A total of 6 PANCRASE music CDs have been released. Websites such as FULL CONTACT FIGHTER, post Pancrase information and also sell Pancrase videotapes. Over 8000 students have signed up for amateur training at P's Lab (Official Pancrase Gyms) in Tokyo, Yokohama, Tokai, and Osaka. Pay-Per-View shows in the U.S.A.